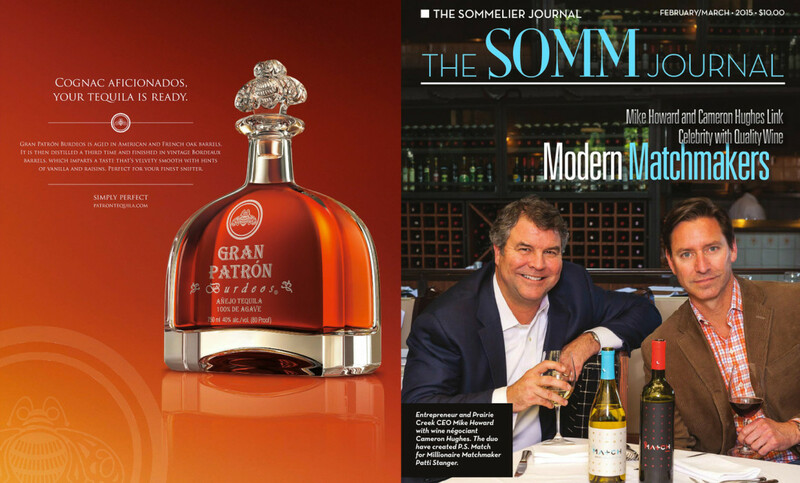 We had a very busy spring and 3 different eiotirial shoots in the April issue of the SOMM Journal. 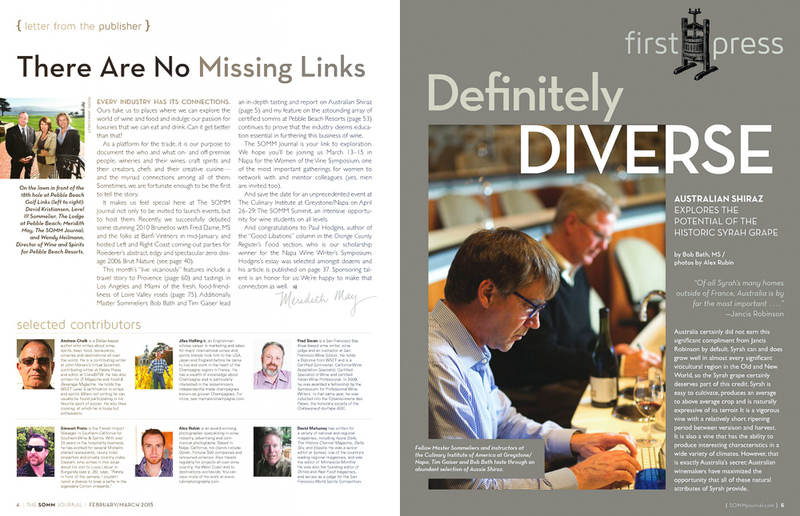 The first was a shoot of Master Sommeliers Robert Bath and Tim Gaiser at the Culinary Institute of America In St. Helena. 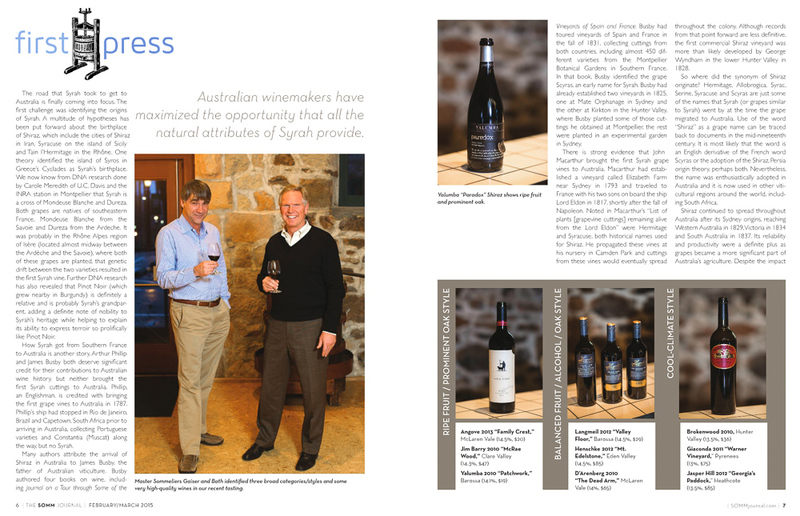 They tasted and evaluated 47 different Australian Sharaz’s. 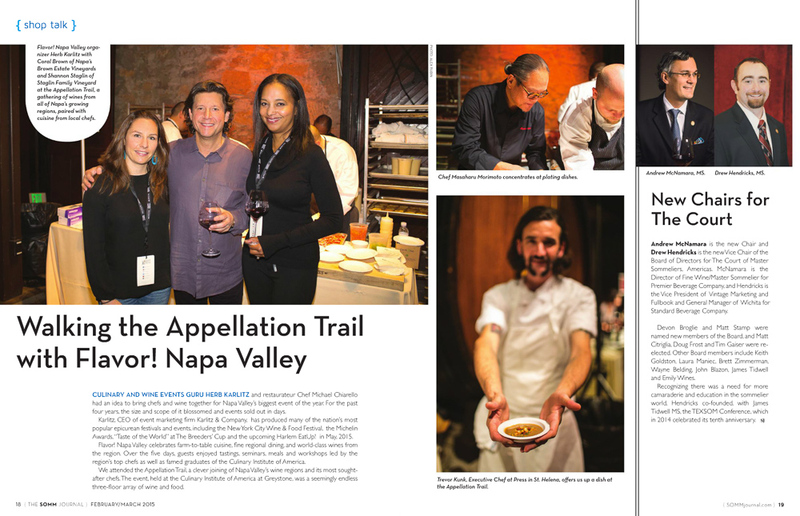 Next was a story the amazing food an wine event Flavor Napa Valley that featured among many other Iron Chef Morimoto. 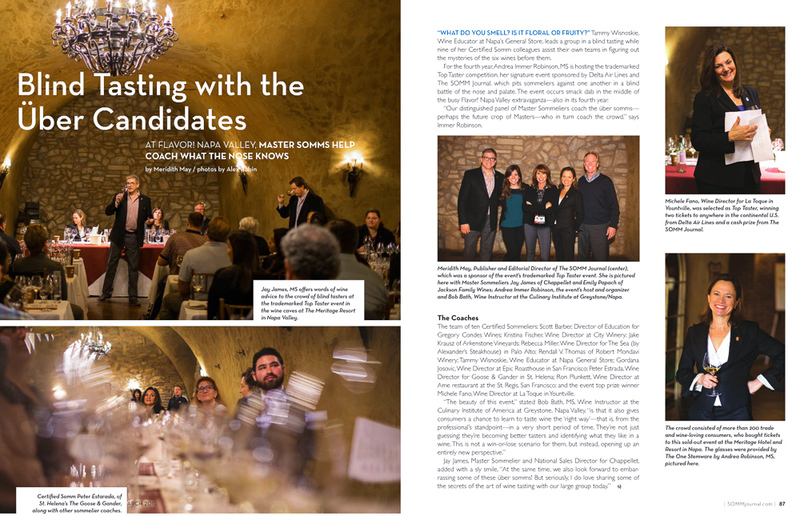 The third was a blind tasting event featuring Andrea Robinson one of only 21 female Master Sommeliers in the world. 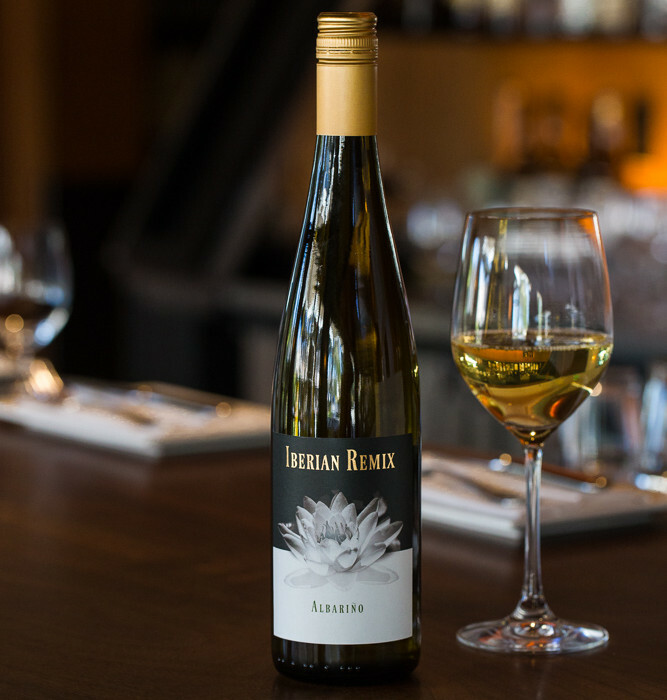 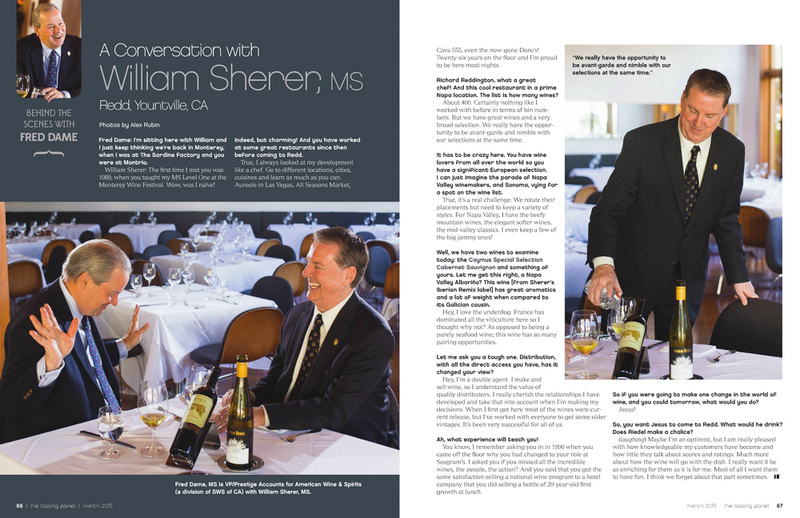 Below is a great story I photographed for The Tasting Panel Magazine with Master Sommelier’s Fred Dame and William Sherer SOMM at Redd in Yountville and owner of Remix Wines. 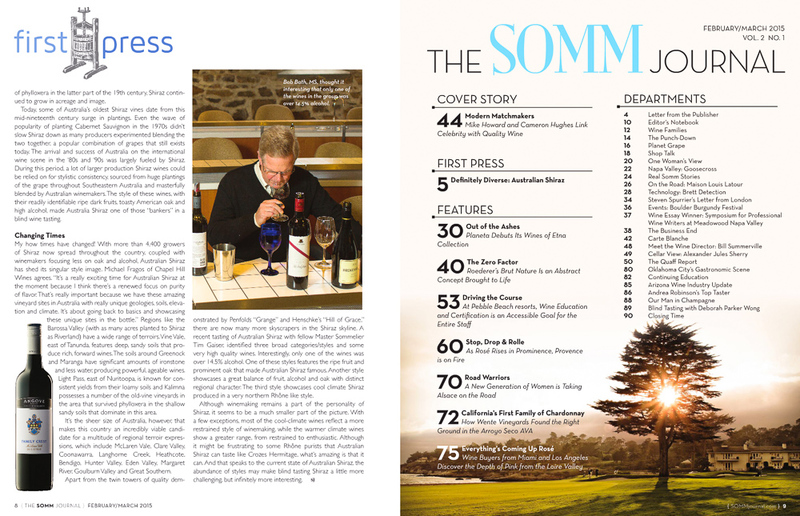 I am looking forward to seeing Fred in the upcoming documentary Somm: Inside the Bottle, the sequel of the 2012 documentary SOMM.